What Mumbai life is like as a home to over 20 million residents? This question was answered decades ago worldwide through the famous movie “Slumdog Millionaire”. Although the scenes shown in the movie are not well-presented one, it reflects that no country in this world is perfect. 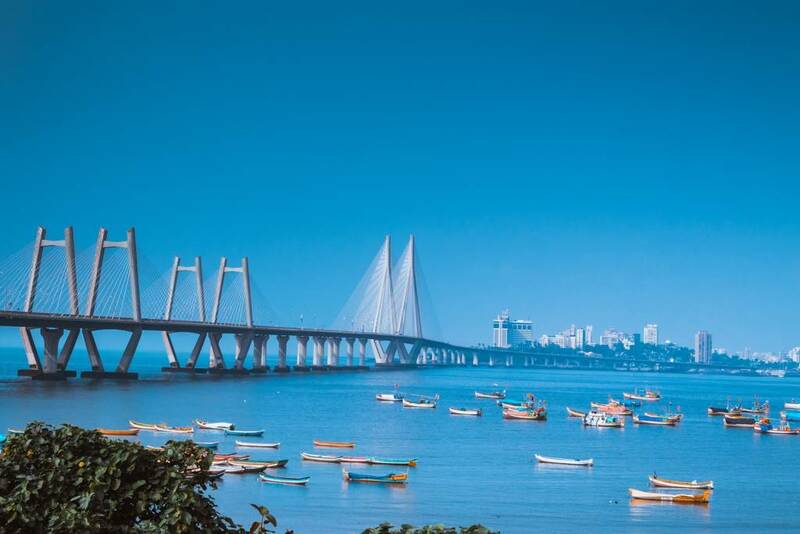 Your flight to Mumbai with Bangkok Airways will be worth your travel experience, where many places to visit in Mumbai can be your next dream destinations such as the iconic Bandra-Worli Sea Link, a cable-stayed bridge in South Mumbai. Mumbai, formerly called Bombay, is a capital of Maharashtra state and is the largest city of India. At the beginning, it was a cluster of seven islands on the Konkan coastline and gradually formed the port city. 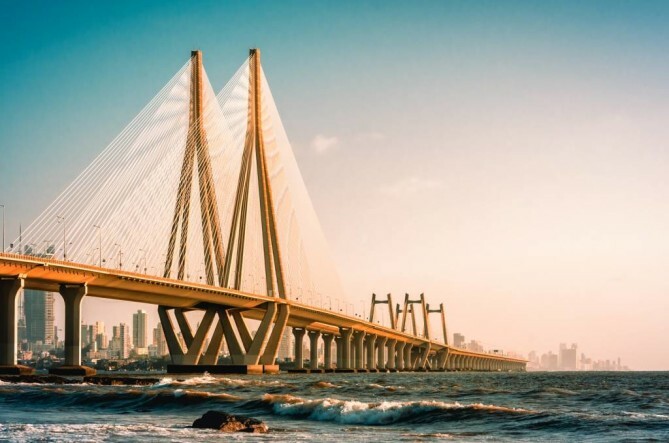 The fast-growing economy and globally-influential Hindi film industries (Bollywood) are together making Mumbai on top of rank among Southeast Asian cities. As a Bollywood production house, this status does not come by chance but with a production of 800 movies per year. 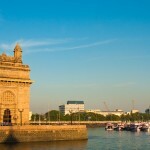 Aside from being many pivotal hubs, Mumbai is never short of things to do and travel allurement. 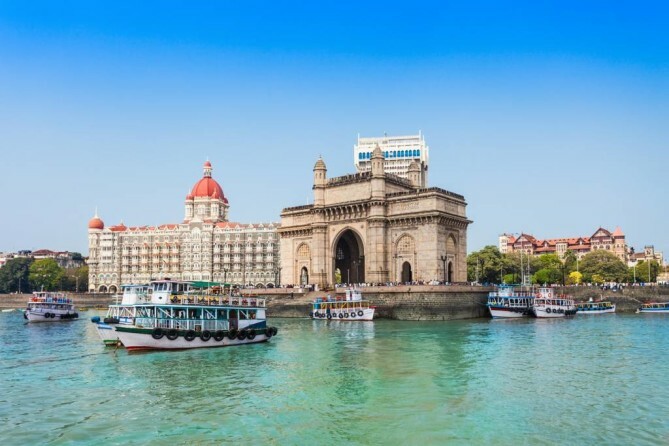 Once colonized by the British, Mumbai today distills the charms of Eastern influence from Gothic architecture into galleries, museums and stylish restaurants. From this subtle blend of old and new, Mumbai is without doubt claiming to be “London of Asia”. Follow today’s Mumbai travel guide to unearth the city of dreams as it gears India toward the capital of commerce and entertainment. Those who were born during the year of 1913s in this fast-evolving city, they had witnessed this history in the making of Mumbai. The Gateway of India is a symbolic landmark where the commemoration of King George V and Queen Mary’s visit in 1911 was an inspiration to build. Situated in the South of Mumbai, the Gateway of India lies in Mumbai Port on western shore of Mumbai Harbor. Thirteen years of construction, hard work have finally paid off. George Wittet was the one who designed and built this place so amazing to see and wonderful to wander around. A platform that speaks volumes about the country’s political history. 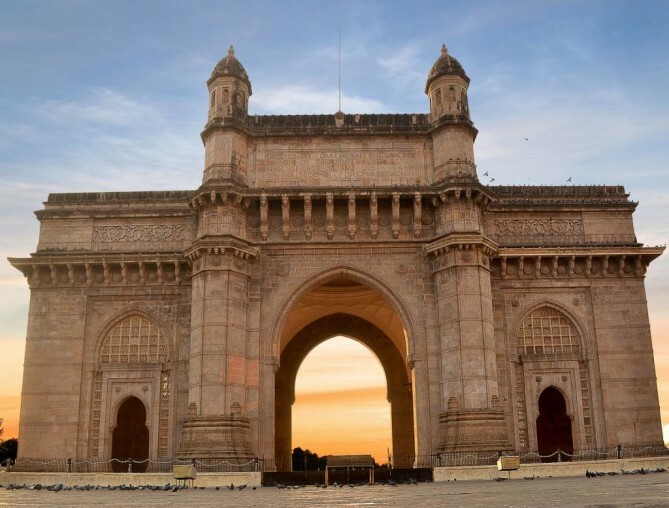 Aside from profound stories, ever since its inauguration on 4th December 1924, Gateway of India has been one of the places to visit in Mumbai overlooking the Arabian Sea. The sea view together with this Indo-Saracenic architecture of yellow volcanic rocks, making the Gateway of India an absolute must listed in any Mumbai travel guide. 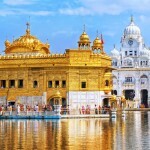 Amidst this metropolitan city of India, this Mumbai travel guide finds you laid-back and breezy ambience at a natural bay, Marine Drive.The drive over Chowpatty Beach from the Arabian Sea to Malabar Hill is an experience all its own, unveiling the panorama of C-shaped coastline and is one of the things to do in Mumbai. 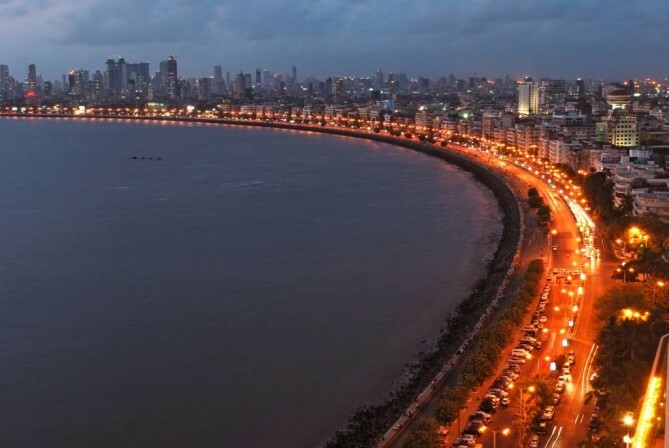 The coastline is in parallel with a 3km-long boulevard providing spacious six lanes concrete road in southern Mumbai. 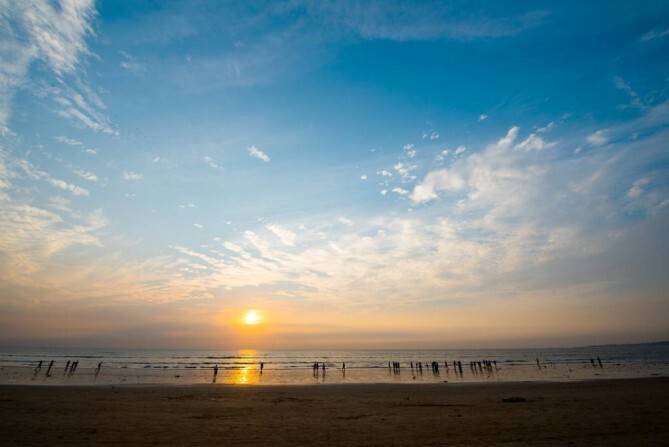 Marine drive along the Netaji Subhash Chandra Bose Road is dubbed the ultimate spot for seaside relaxation. Its magical beauty led to a nickname of ‘Queen’s Necklace’, given that the street lights at night make the road look like a string of pearls and create an illusion of a necklace. A daytime visit is nothing less pleasurable than a nightfall visit since the area does provide a scenery of perfectly lined palm trees together with beach scene, creating relaxing ambience in the midst of this bustling city. The archaic, elegant looking of this museum is an epitome of the Indo-Saracenic style of architecture. The cocoa-colored building is so compatible with Islamic, Hindu and British architecture. 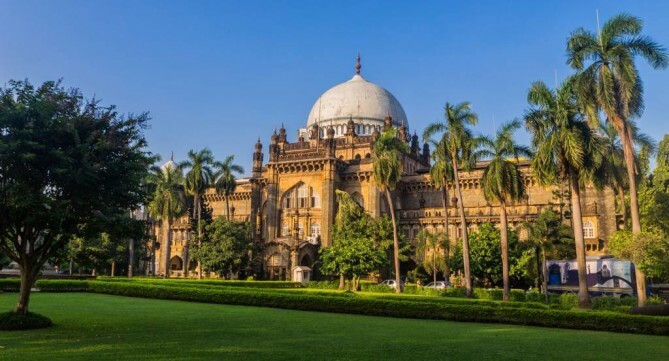 The charm of old fashion that infuses through every facet of this place has marked the museum the forefront in any Mumbai travel guide, one of the places to visit in Mumbai. 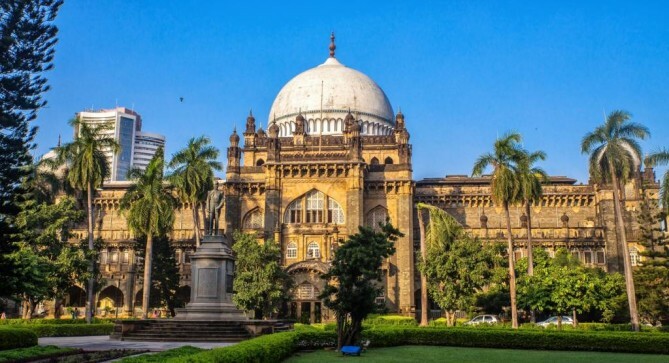 Head over to the southernmost tip of Mumbai on the ‘Crescent Site’ where you will find out about Mumbai’s most celebrated museum ‘Chhatrapati Shivaji Maharaj Vastu Sangrahalaya’, once known as ‘Prince of Wales Museum of Western India’. 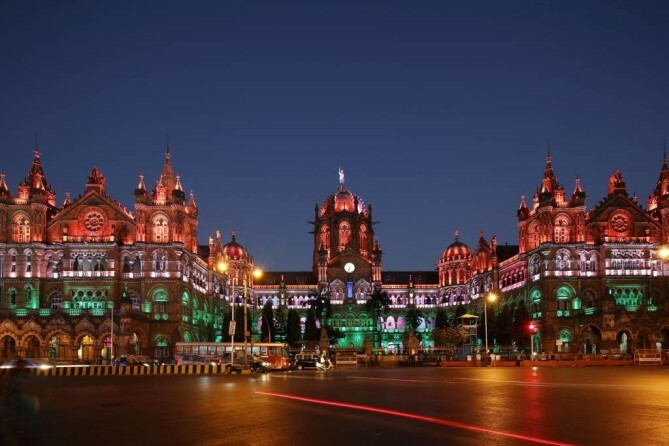 This glamorous Indo-Saracenic edifice has been awarded the ‘2010 UNESCO Asia – Pacific Heritage Award’ for Cultural Heritage Conservation and is a masterpiece by George Wittet, whose genius once proved in the design of the Gateway of India. The rich heritage is for succeeding generations to come. Those who’ve been visited will agree upon the beauty of such a huge structure that embodies remarkable Hindu and Buddhist sculpture, ancient Indus Valley terracotta figurines, Indian miniature paintings and some exceptionally barbarous-looking weaponry. A 15-minute drive from Mumbai central railway station is a shortcut to find rare items at Chor Bazaar, one of the places to visit in Mumbai. 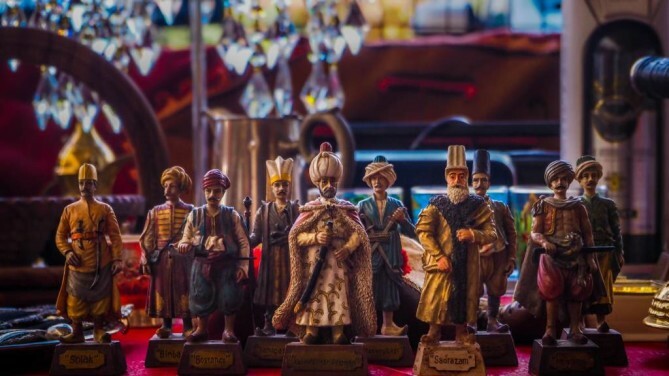 Anything that collectors could ever ask for are available to fill their cabinet such as antique silverware, ancient maps, bronze statues, decorative lamps, clocks, religious icons, electronics, Victorian-era furniture, Bollywood paraphernalia and to name a few. Founded over 150 years ago, its initial name was then ‘Shor Bazaar’ (Noisy Market) and was later mispronounced by British residents until it later has become known as Chor Bazaar. 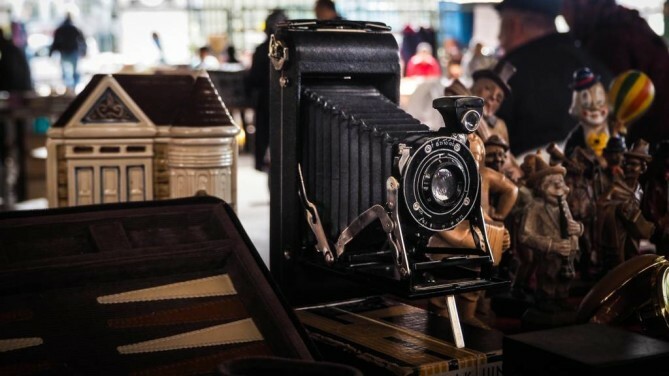 Right from the get-go, shops and stalls are set ready for bargaining, allowing antique collectors to search for the displays of exclusive souvenirs at budget price. 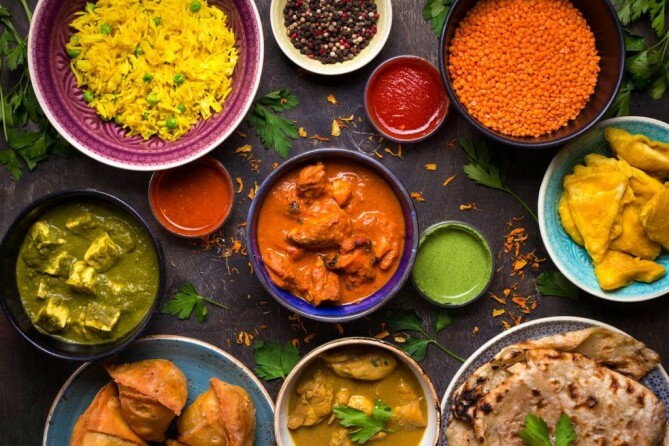 But for this Mumbai travel guide, it’s not just about going on a shopping spree since the charms of Chor Bazaar area also extend through its neighbors of Hindu temples, graceful mosque and the fading glory of colonial-era apartments. Tips: – The market is open everyday except Friday where street market takes the place over. .
– Due to its location in a conservative Muslim community, polite clothing is needed where respect to religious site is also requisite. – It is habitually done for haggling so be prepared to engage in a price battle. – The market is also notorious for imitation products especially electronics, be cautious! First-time travelers would jump to conclusion quickly that this is the palace or a museum, no one would consider it a railway station. To clear all doubts, today’s Mumbai travel guide has brought you the answer. Chhatrapati Shivaji Maharaj Terminus (formerly known as Victoria Terminus) is one of the places to visit in Mumbai despite you haven’t got a plan to get on a train. The Victoria Terminus can be nothing but one of the greatest instagrammable places in Mumbai. 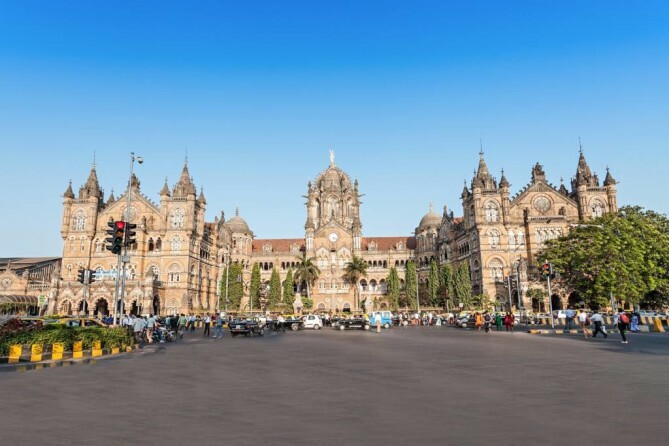 In the midst of this bustling capital of Maharashtra, the Victoria Terminus well represents Victorian-Gothic style of architecture but still showing contemporary design in a way. Built in 1887, the railway station still functions as usual connecting all parts of the country together so there have always been noise and crowd of mumbaikar gathering here to commute as routine. The Victoria Terminus has essential meaning to the local by way of symbolizing the pre-independence India and is declared a UNESCO World Heritage Site. In the middle of the Sanjay Gandhi National Park, Borivali, Mumbai, more than hundreds of Buddhist caves are settled in a peaceable surrounding widely known as Kanheri Caves, one of the places to visit in Mumbai. 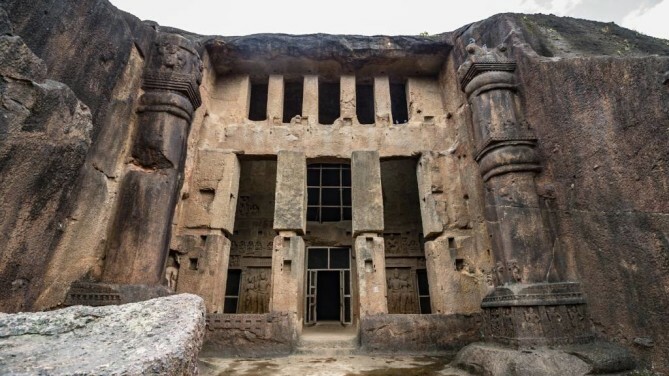 The quintessence of these caves is to present the evolution of Buddhism during its heyday and decline as well as its influences on Indian art and culture spanning from the era of the 1st century to 11th century AD. Kanheri Caves differentiates itself from the rest by having the maximum of cave excavations within a single hill. Without question, Kanheri Caves has been around for nearly a millennium thanks to the proximity to the ancient port towns. The older of Kanheri caves are simpler in their design whereas the newer caves are more embellished on its basalt rock formations. 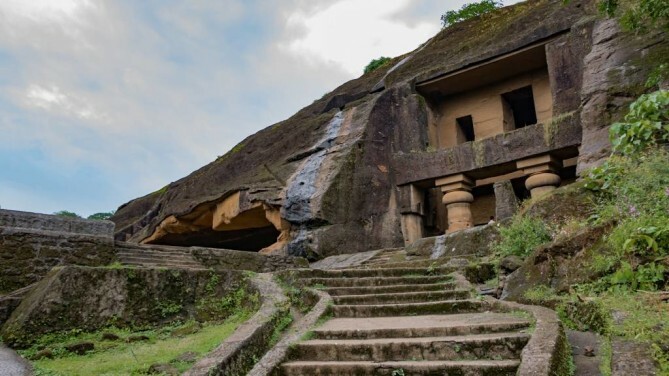 Besides its prominent rock-cut monument, Kanheri is famous for its special 109 entrances to the cave, ancient Most viharas (monasteries) and sculptures, cave paintings and archaic inscriptions. Follow this Mumbai travel guide to witness treasures to Buddhist civilization at Kanheri Caves. Book your flight to Mumbai today! 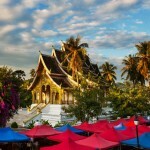 Visit http://www.bangkokair.com/eng/flightdeals/view/mumbai to check flight availability.